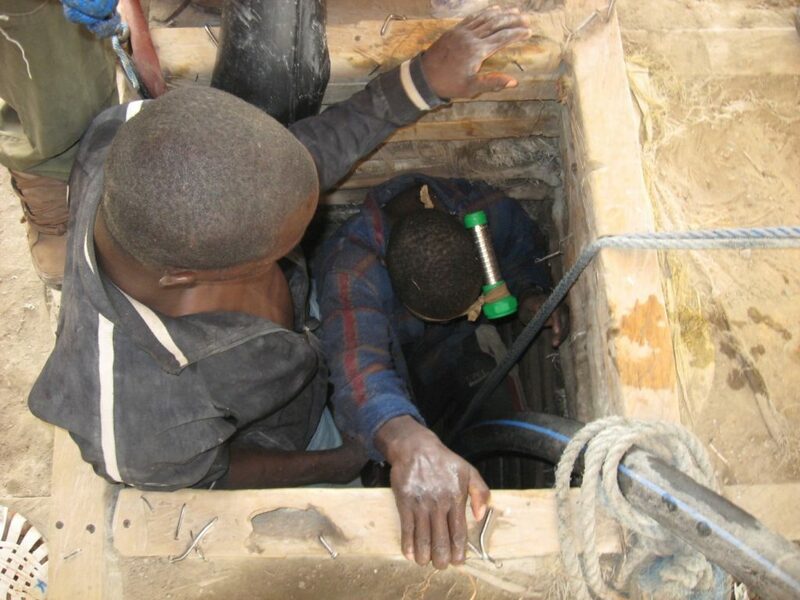 Two artisanal miners in Kenyasi, Ghana, are about to enter their mining shaft. “Occassionally conflicts arise”, one miner explained. This happens for example when two operations meet and start to compete for ore underground. The management of such processes underground is one of the interests of the Gold Matters.